Thanks for the picture of the proposed changes. One thing i am not understanding though... 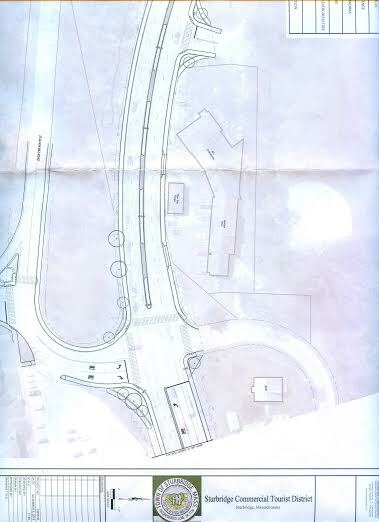 So there will be a left turn lane for the village and still a jug handle. Will the jug handle be only for changing direction and the light only for left turns? It seems a little unnecessary to me. The jug handle right now serves both purposes. I agree with you that the jug handle serves both purposes. I wasn't able to hear and understand just how the new, redundant and more complicated, design is supposed to work. All I know is that better signage for the Village should take care of the problem. Why all the roadwork??? Marilyn's ever so right - ALL that's needed is better signage. Seems like the more the State gets involved, the more confused things become: Why is the sign showing the narrowing of Rt 20 after Cedar St and not before? Statewide, why are "yield" signs placed 20 feet from where the actual merge occurs? Why am I thinking that "jughandle" pretty much means the same thins as "jughead?"